Not to be redundant, but Paul Cezanne’s Still Life with Fruit Dish makes its appearance in Paul Gauguin’s Woman in front of a Still Life by Cezanne. I know what you’re thinking: WOW, Gauguin, super original. 1. Knife: Why does it look like it’s floating!? Worst. 2. Signature: Gauguin does a pretty rude move where he signs the white border of the Cezanne work. Like, are you serious, Gauguin? Way to take credit for a work you didn’t actually create with that borrowed background! Lucky us, though, since we get to interpret the signature as witness (a la Jan van Eyck’s Arnolfini Wedding Portrait) or as a self-important chump (a la Duchamp’s urinal). Personally, I’m going with latter. 4. That WAIST: Mainly since I’m damn jealous. You can keep your hate-filled glare, though, girl. I’m not about that. Breakfast Time is my weekend Instagram a painting by Swedish artist Hanna Pauli from 1887. She wasn’t engaged yet, so it’s signed as her maiden name (here’s hoping she went by St. Pauli’s girl during their courtship, amirite?). 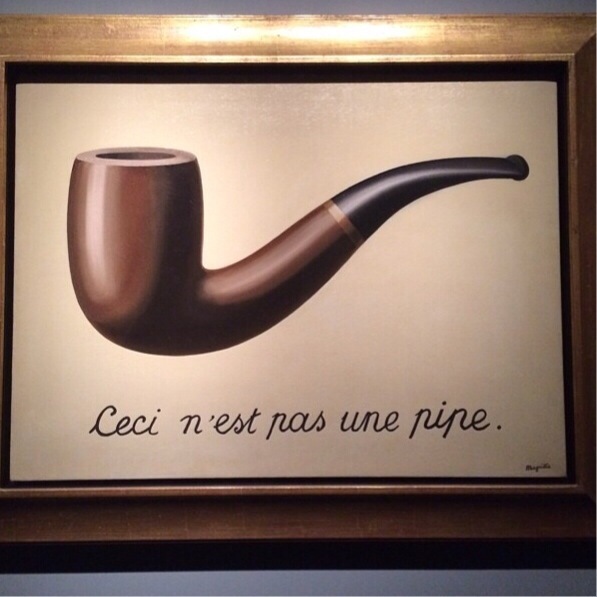 This painting went on display during the Paris Exhibition and the Chicago World’s Fair. Fun Fact: The Art Institute of Chicago and the Museum of Science and Industry are the only two structures built for the World’s Fair in 1983. Trust me, you’ll sound so smart at brunch this weekend. Guys, lighten up! It’s almost Friday! I don’t know about you, but I mean, I had a DAY OFF MONDAY and it still feels like a full blown work week! YEESH! Uh, sure. Kinda like how I appreciate my savings account by blowing it on Anthropologie sales. 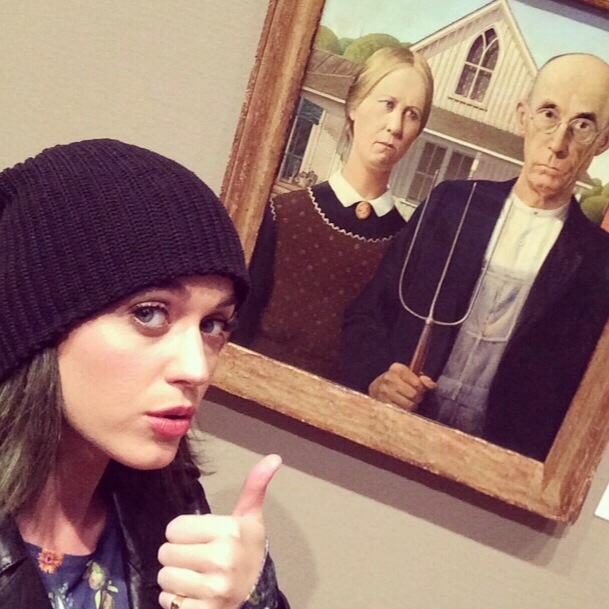 Her caption for this one says, “also at @theartinstitutechi the original goths #americangothic.” OH KATY. 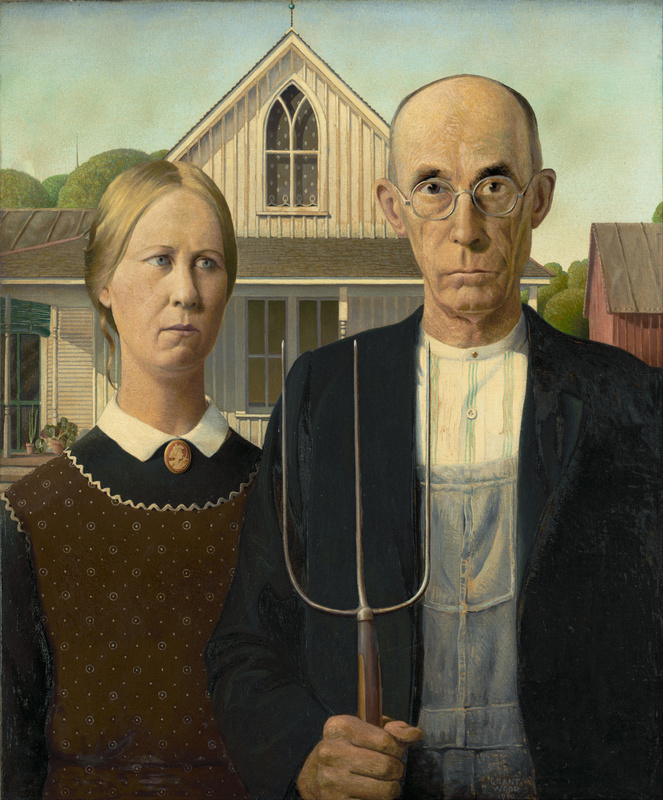 American Gothic comes from the name of the architecture used in the background’s farmhouse. It has nothing to do with the couple (though I’m feeling those overalls). There are even more art history mess ups on her Insta. You’ve been warned. First Mondrian, now this.